This week: Astrocytes produced from embryonic stem cells in 2 weeks, myotubular myopathy treatment receives FDA RMAT and new insight into immunomodulatory mechanism of action of extracellular vesicles. In a new study publishing in Science Signaling, researchers at Fred Hutchinson Cancer Research Center (WA, USA) studied the differences in how two common chimeric antigen receptor (CAR) types, CD28 and 4-1BB, signaled T-cells to mobilize and affected their behavior and effectiveness. CAR-based cell therapies have shown high efficacy against some types of cancer and the first CAR-based therapy, Kymriah (Novartis) was approved in August 2017. "When we began this study in 2014, we sought to understand the biology of CAR T-cell therapy. Now that we better understand how it works, we have new insights into how to improve this new medicine, which is critically important as the field moves toward designing CAR T-cell therapies for more types of cancers, including solid tumors," explained Stanley Riddell, lead author of the paper and the scientific director of the Immunotherapy Integrated Research Center at Fred Hutch. Lund University (Sweden) researchers have developed a new method of producing astrocytes from embryonic stem cells that cuts production time from months to 1–2 weeks. In the work, virally induced overexpression of transcription factors SOX9 and NFIB produced astrocytes that were fully functional and very similar to the appearance, genetic profile and function of native human astrocytes. The team will now use this method to investigate the significance of astrocytes in neurodegenerative diseases such as dementia and Alzheimer's. "Many researchers have previously used embryonic stem cells to generate astrocytes, but these methods have attempted to mimic the normal development of an embryo's stem cell when developing an astrocyte in an individual, which requires a time-consuming and complicated approach", said research leader Henrik Ahlenius. "This means that it is now easier than before to study the role of astrocytes in various diseases." 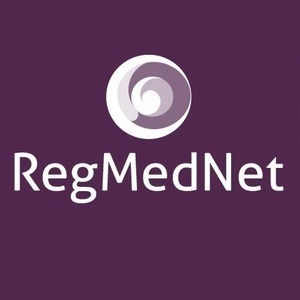 AT132, a treatment for X-linked myotubular myopathy developed by Audentes Therapeutics, Inc. (CA, USA) has received the Regenerative Medicine Advanced Therapy (RMAT) from FDA. AT132 comprises an AAV8 vector which contains a functional copy of the MTM1 gene, which encodes the protein myotubularin and causes X-linked myotubular myopathy if faulty. AT132 has also received Priority Medicines and Orphan Drug designations by the European Medicines Agency (EMA). "We are pleased that the FDA has granted RMAT designation to AT132, an important regulatory milestone that highlights the transformative potential of AT132 as a therapy to treat XLMTM, a rare, congenital disease characterized by extreme muscle weakness, respiratory failure and early death," stated Mary S. Newman, Senior Vice President, Regulatory Affairs at Audentes. New research into CAP-2003, a therapy based on extracellular vesicles derived from cardiosphere-derived cells, has cast new light on the therapies mechanism of action and immunomodulatory capacity. CAP-2003 is being developed by Capricor Therapeutics (CA, USA) for indications involved inflammation and fibrosis, and contains a number of microRNAs, non-coding RNAs and proteins that drive immunomodulation. It also polarizes macrophages and has an immunomodulatory effect on T-cells. “[The pre-clinical studies] further demonstrate that exosomes may be the active pharmaceutical ingredient in CAP-1002…because these extracellular vesicles serve as cellular-messengers, altering function and physiology to balance inflammation so that cellular repair can be facilitated,” commented Linda Marbán, Capricor chief executive officer.